Everybody knows how difficult it can be to get a delicious meal on the table night after night, not to mention a healthy one made from real and readily-available ingredients. Enter the air fryer, the must-have, revolutionary kitchen device. As Urvashi Pitre, the best-selling author of *Indian Instant Pot Cookbook, *will show you, the air fryer makes home cooking easy. Every one of the recipes in this book can be made in an hour or less, and many are on the table in as little as 30 minutes. You won't find "cream of anything" cans in the ingredient list: instead you'll start with fresh ingredients—healthful meats and vegetables—and let the air fryer do the hard work. 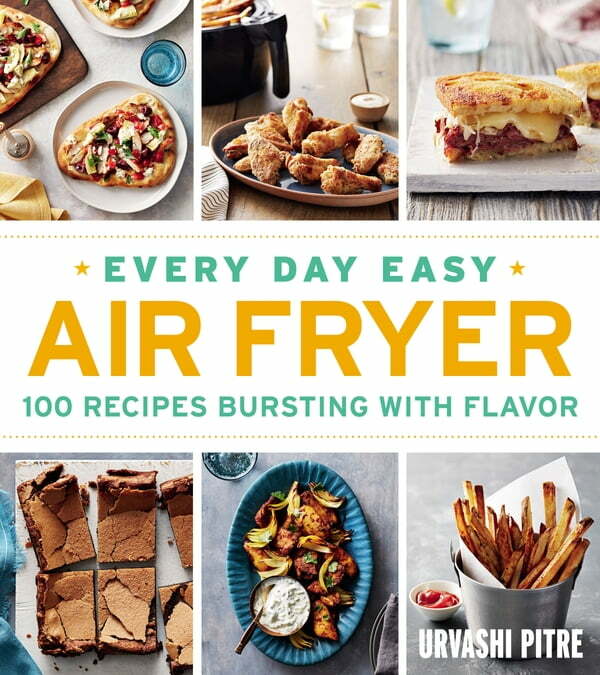 In her signature way, Pitre will walk you through the simple process so you can learn to use your air fryer like an expert in no time. And there is no shortage of flavors—with recipes inspired by authentic Indian, Korean, Mexican cuisines and more, including Poblano Cheese Frittata, Thai Chicken Sate, Chicken Fajitas, Shrimp Scampi, and Chinese Spare Ribs, to name just a few. And because you're using an air fryer, you won't need to cook with loads of oil to get incredibly tasty results. Just like the recipes on the author's popular blog, twosleevers.com, these recipes will always work perfectly and taste great. Smaller footprint than oven so it's great for smaller spaces like dorm rooms, apartments, and RVs.